Follow us on Twitter for the most recent Summerbridge news. Friend us, follow us, send us messages, retweet our posts. 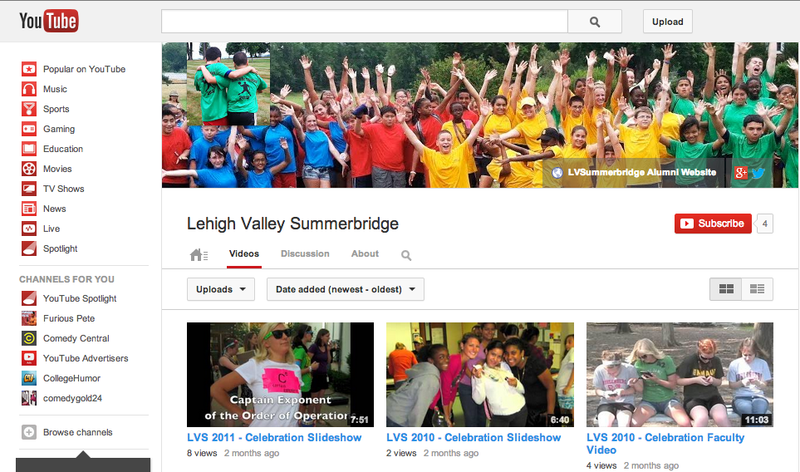 Check out our tweets to see what's going on at Lehigh Valley Summerbridge. We will also tweet interesting articles, video links, and artwork. 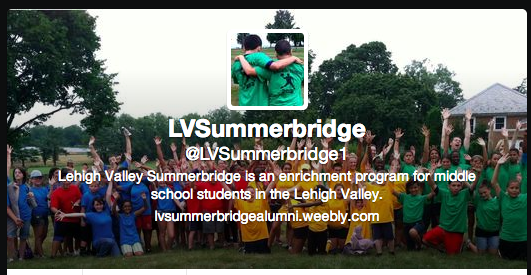 Click "Follow @LVSummerbridge1" to follow us on Twitter. You can also tweet directly to us by clicking on the "Tweet to LVSummerbridge1"
Connect with current and past Summerbridge students. Find out what Summerbridge is up to during the summer and school year. Find posts from our other social media accounts. Our Pinterest account is for teachers and students alike. We post about art, science, job hunting, easy recipes, and ideas for the classroom among other topics. 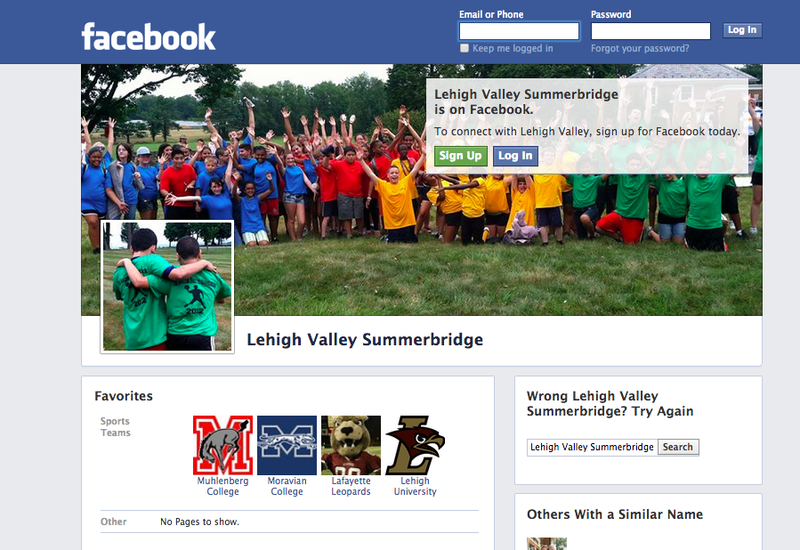 Visit Lehigh Valley Summerbridge's profile on Pinterest.